This past Saturday at the Buckhead Fight Club, in Atlanta GA, WBC Lightweight Youth Champion, Devin “The Dream” Haney (18-0, 12 KOs), remained undefeated with an impressive TKO against Hamza Sempewo (14-9, 7 KOs). Haney dominated the bout from the opening bell, winning every round convincingly. In round five of the scheduled six-rounder, Devin landed a vicious left hook to the body, followed by a barrage of punches to the head, that included a nasty uppercut. The referee stopped the bout after Sempewo was out on his feet, and couldn’t continue. After the win, Devin Haney announced that he’ll be making a quick return to the ring against Taiwo Ali (21-5-1, 16 KOs) from Lagos, Nigeria in a scheduled eight-round bout, this time in the lightweight division. The bout will take place at the Claridge Hotel & Casino, Atlantic City. Since capturing the WBC Lightweight Youth title earlier this year, Devin Haney has had a difficult time getting other top lightweights in the ring. All fighters who hold the WBC Youth title must be under the age of 22. So, Haney will now look to capture other WBC titles, with hopes of landing a big fight with other lightweight contenders. 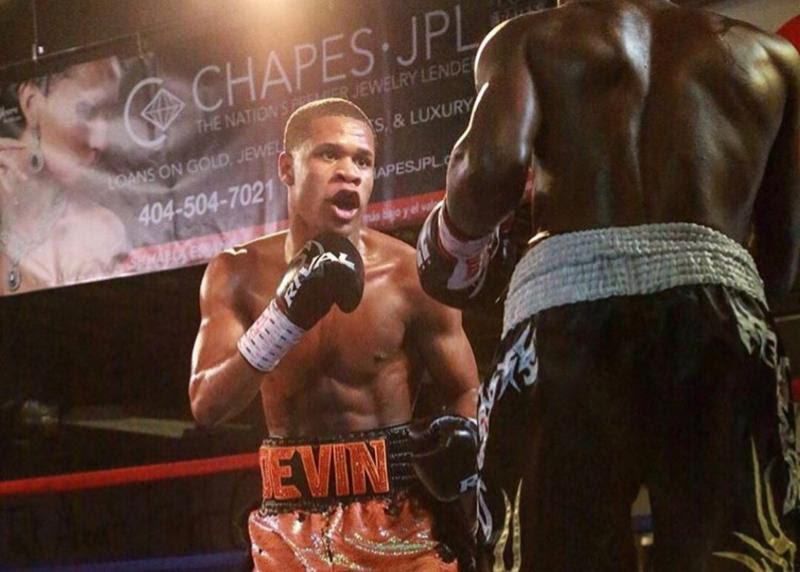 Devin Haney is the most active fighter in boxing, having fought eighteen times since turning pro at age seventeen back in 2015. He’s averaging eight to nine fights a year.